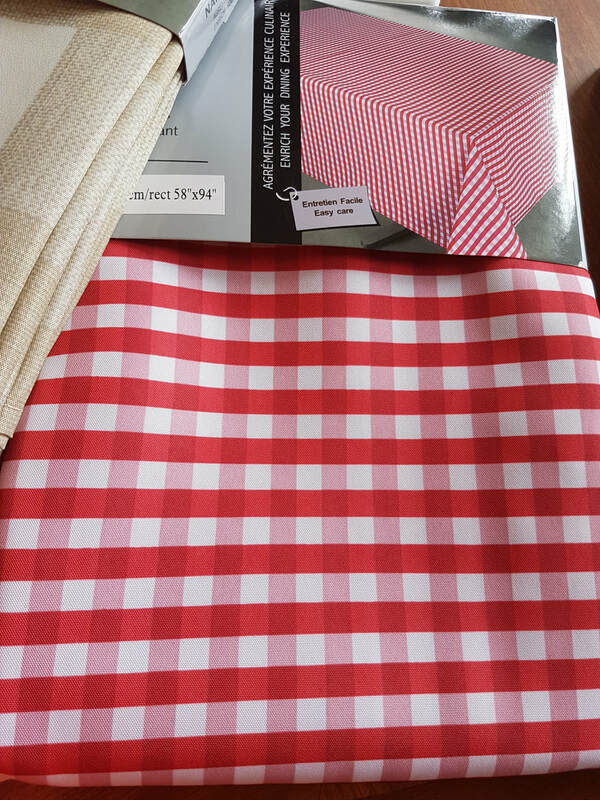 Easy entertaining with our water-repellent, stain-resistant Tablecloths. They come in many colours, and are sized at 70"round, 78"rectangle, 94" rectangle, and more. $24.95, $27.95 & up. You'll love these! In stock in many colours and patterns. This cozy Gift set consists of 1 Winter 2018 copy of Magnolia Journal, 1 sherpa-lined washable blanket 50"x60", a I love Naps pillow with feather insert, and a red knit ornament.